Walters are delighted to have won the highly prestigious “Be the Best” award presented at the A14 Annual Supply Chain Awards on Friday 25th January. The Awards were introduced to acknowledge the key concept that ‘we are only as good as our supply chain’. Guests gathered together from all the supply chain partners involved in delivering the A14 Cambridge to Huntingdon road improvement scheme to celebrate the A14 Integrated Delivery Teams (IDT). The criteria that the judges considered when selecting the winner of the ‘Be The Best’ award were: ‘Having a winning and positive mind set. Support, develop and motivate our colleagues so they perform and exceed expectations. Support our “no blame culture” where people can make mistakes as long as we can learn from them’. The judges commented that Walters had been clear winners as they had received a significant amount of nominations across the IDT. The Walters team are very well disciplined and organised with great leadership from their management. They had demonstrated world class standards in everything that they had done and were truly a supply chain partner with a real winning attitude to be the best. 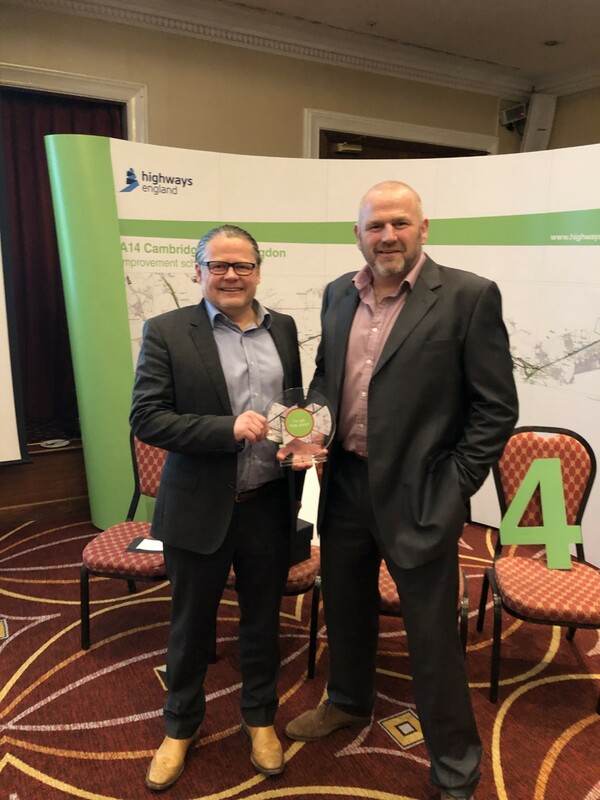 The award was presented by Mark Berg Project Director from the A14 IDT and David Bray Project Director for Highways England to Colin Chambers, Managing Director of Walters and Rob Bashford Walters A14 Section 3 Project Manager. The A14 is the UK’s biggest road construction project with 21 miles of the A14 between Cambridge and Huntingdon being upgraded. This 1.5 billion project will transform journeys on one of the east of England’s most vital roads.